If you run a business in the realm of field services, ensuring that the link between contractors and clients remains strong throughout every step of the project is vital. Whether you deal with HVAC experts, plumbers, electricians, or any other service, professional operations management software can become one of the greatest tools at your disposal. Jobi Pro is the perfect solution for businesses of all sizes and backgrounds. It allows your team of contractors to provide a better service while enabling you to oversee the situations with greater authority. If it makes the clients smile, you’ll be left smiling too! Jobi operations management software is fully equipped with many features, but field service scheduling is one of the most important. Contractors will be in a position to provide homeowners with far more accurate time frames of when they can expect an arrival. This can manifest as HVAC service scheduling, plumber service scheduling, and electrical service scheduling. Either way, the ability to route customer service visits and manage the workload in an efficient fashion enables your team to stay engaged with their work and maintain positive links with clients. The resulting improvements in customer satisfaction can only lead to immediate and ongoing rewards for your business. In addition to supporting individual contractors, operations management software is ideal dispatching software for small business. Knowing where your contractors are at any given time can be tough work, not least if you are dealing with big numbers or a wide service area. The ability to GPS track your technicians enables you to oversee the workload with realtime precision and accuracy. Whether it’s to keep clients in the know or put your own uncertainties to bed, there is no doubt that this is a key asset that will aid productivity among the team as well as the overall level of service to clients. It also provides quantifiable data for when you want to discuss matters with contractors or consider the possibility of disciplinary action against bad workers. 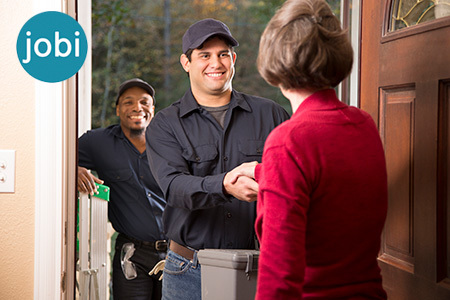 JobiPro Apps for service technicians are built to aid the interactions with clients. Transparency is something that all homeowners crave when hiring a contractor and the use of a customizable flat rate software is one of the best tools to encourage that sense of clarity. Setting up clear pricing strategies from the electrician contractor App, plumber contractor App or HVAC contractor App could not be simpler. 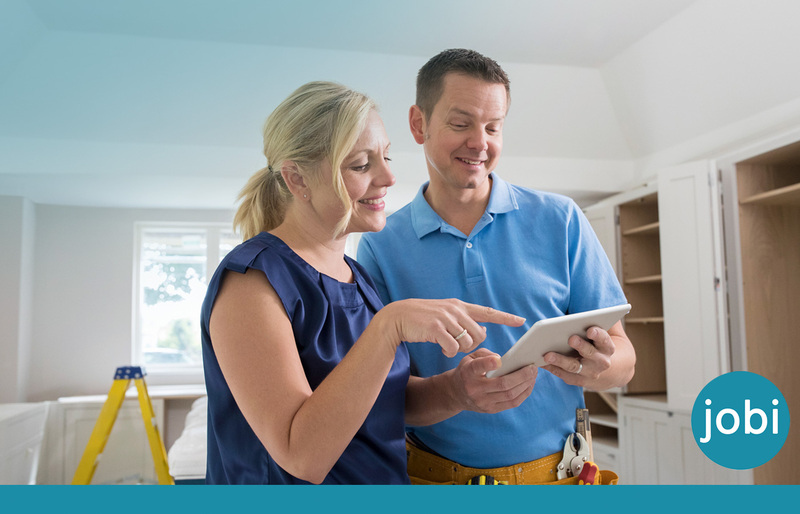 In fact, it’s possible to use different tier pricing for various service and jobs, which will give homeowners the deepest insight into the proposed projects for their home. The fear of being ripped off by hidden charges is something that puts many people off. Proving that this is not an issue will work wonders for your conversion rates. Job scheduling software isn’t merely about the logistics of getting a contractor to the job. Jobi Pro appreciates the need for business, contractor, and end user to enjoy the benefits of unambiguous agreements. 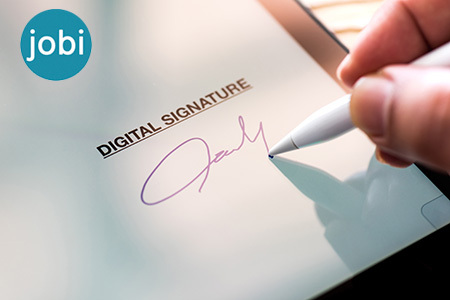 Paperless service agreements for contractors can be managed from the operational management software with minimal hassle. This allows the contractor to send an agreement for the client to either accept or reject. This can be done before the contractor is deployed, which can save a wasted journey for all parties. Furthermore, doing it digitally speeds up the process to aid your productivity, avoiding a number of obstacles and the potential breakdown of proposed deals. Taking this route is good news for the local environment too. Whatever way you look at it, getting paid is the most significant aspect of any contractor’s or business owners job. Jobi Pro field service management software includes realtime Quickbooks paperless invoicing. This aspect of the operations management software means that contractors can send their invoices for smoother payments, which can also be handled through online payment gateways and card detail capturing and signature capturing. Quickbooks field service software can additionally be integrated with Paypal, Authorize and Stripe. Jobi Pro, therefore, allows you to manage accounting and admin with far greater control and ease. This is beneficial for all three parties – the contractor, client, and company. Brand image count for a lot in business, not least when dealing with field service contracting work. Homeowners often book contractors and companies based on a combination of first impressions and referrals. Modern tech instantly encourages a better response from prospective clients because it shows that you are up to date with the latest trends and facilities. This suggests that contractors will do the same when actively working on the project. Jobi Pro is a piece of software that is built on the success of that relationship between the client and online facilities. When added to the fact that you hit them directly in their pocket, this is an ideal investment. Above all else, Jobi Pro operations management software puts your mind at ease and allows you to work with greater confidence irrespective of how many contractors and projects you manage. 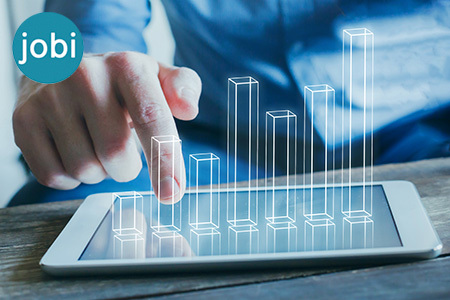 It grants users actionable insight into business performance by facilitating sales tracking through visual analytics and call tracking through CallRail integration. Offering the added transparency in regards to different service plans, warranties and product upgrades also puts you in far greater control of the situation. Virtually every aspect of running the business feels a little smoother and natural. Above all else, this can eradicate errors while also protecting the business with recorded data that can be used should any disagreements surface. 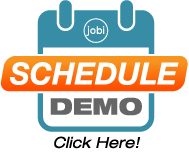 The Jobi Pro operations management software will revolutionize your business. Internal and external interactions have never been easier to control. With various packages on offer, check out some of the key features below. Alternatively, give us a call to arrange a demo to see what the software can do for your venture today.